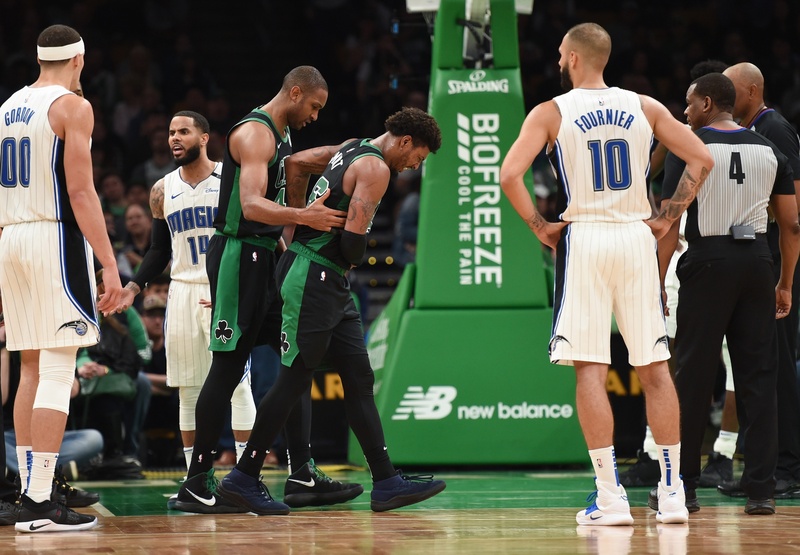 The Boston Celtics came up short against the Orlando Magic 116-108 on Sunday night but, nonetheless, still managed to clinch the Eastern Conference’s 4 seed. Unfortunately, they lost more than just a game. In the contest that ultimately had no effect on their playoff standings, the Celtics lost two starters to injury — Jayson Tatum with a bruised shin and former Poke Marcus Smart with what was determined to be a torn oblique muscle. Here’s a video of the impact and then of Smart, in obvious pain, falling to the floor and having to be helped off of the court. That’s the old news. Celtics fans’ fears were confirmed on Wednesday when NBA inside Adrian Wojnarowski tweeted that the fifth-year player would miss significant time (at the worst possible time). The Celtics put a bow on their regular season slate on Wednesday and await a first round playoff series with the Indiana Pacers, which they will unfortunately undertake sans Marcus Smart.